Past generations often relied on their parents to pay for the bulk of their wedding costs. However, not many parents are financially able to provide a wedding these days, forcing couples to source their own funds or a portion thereof. If you are one of those couples, consider very carefully what you simply must have included in your day and what elements could possibly be omitted. 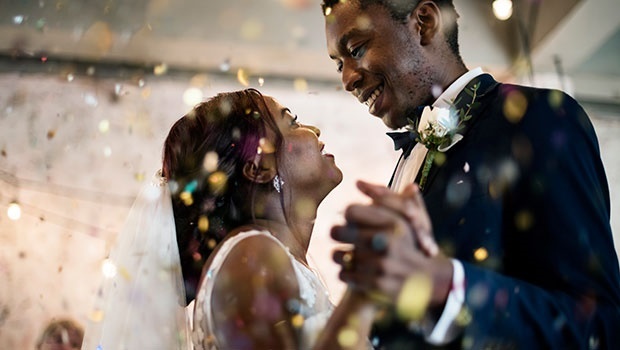 By leaving something out that you may originally have thought essential, you can save a lot of money, which can be better spent on other areas of your big day or on your honeymoon. It is reassuring to know that your day is about you, as a couple, the love that you share and the commitment you are making. And it is likely that no one will even notice what is missing, as they will be whipped up into the magic of the occasion. Wedding favours are usually gimmicky items that serve little purpose. In the case of chocolates or nuts, these are usually consumed and discarded almost immediately. So, unless your guest gifts are going to be useful keepsakes, they can be a serious misuse of funds. However, if you feel strongly about giving guests something, write each guest or couple a personalised note expressing your appreciation for their being there or make a gift (such as a collection of your favourite recipes or a beaded bracelet, for example). When you are in the midst of the pre-wedding excitement, matching pairs of His and Hers track trousers might seem like the best idea ever. The novelty of wearing them in public will fade and they will invariably be shoved to the back of your closet. If you are desperate for something along the “matching” lines, buy one cheap item (such as matching crowns) and avoid the rest. Wedding cake suppliers charge a lot for wedding cakes due to all of the work that goes into making, constructing and decorating them. If this is not a very important part of your big day, consider opting for a home-made or store-bought cake that was not originally intended for a wedding. These can still be beautiful and innovative, without the hefty price tag. Alternatively, consider replacing the cake altogether with a range of more cost-effective desserts. If you are absolutely sold on having a formal wedding cake, save money by ensuring that it is the right size for the number of guests you are having so that you are not paying for more than anyone can finish. Resist the feelings of obligation to have an entire troop of bridesmaids and groomsmen. Remember that each person will need hair, make-up, clothing, accessories and so on. They will also need room to sit and plated dinners. If possible, include special friends and family members in other ways, such as ushers, MC’s, and so on. These tasks do not require certain outfits, but still make them feel important. And we promise it can still be a party on a budget. Although a jazz band or orchestral octet may be lovely, a laptop playing your favourite playlist can be very effective in setting the scene. DJ’s and bands can be very expensive, especially if they require food and refreshment. By building your own playlist, you have control over what gets played and when. This article was brought to you by Celebration.co.za. You can visit their site and find more inspiration and ideas on their blog. WATCH: Why are weddings so damn expensive?